Not going to lie, I fell hard for Philly. And it totally surprised me. I hadn't expected to like the place so much! It didn't hurt that we totally lucked out on the neighbourhood we stayed - I mean the actual airbnb wasn't that fancy and was hotter than hell in the sweltering heat we encountered - but the neighbourhood was awesome. It might have also been the sign I saw on our first afternoon telling drivers to go 'Care Philly'! We stayed in Washington Square West. 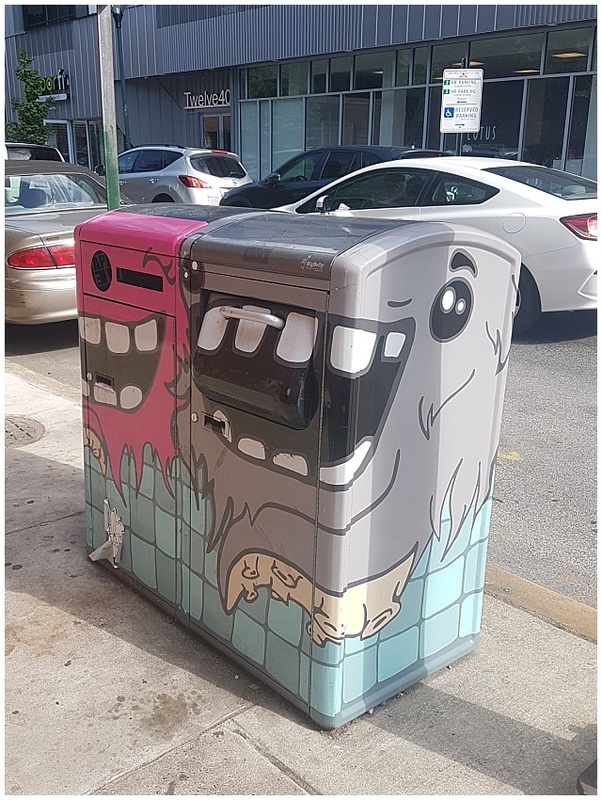 Which just seemed to be the coolest place, I mean look at the way the rubbish bins are decorated! It felt quiet and residential but still it was so close to the centre of all the action! 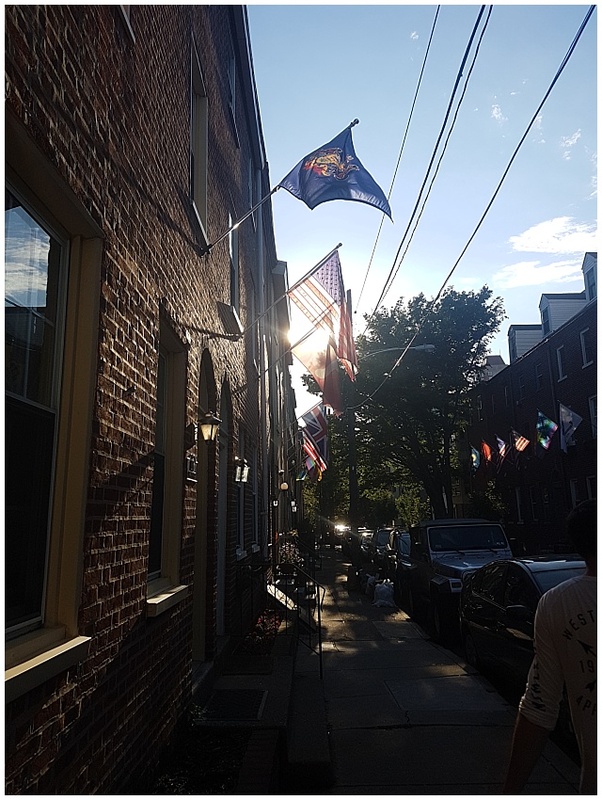 It was all old row houses with flags and cool shops, and whole foods, and bars and restaurants. And the Magic Garden. But more about that later. First up, getting there! The drive from Washington to Philadelphia was only a couple of hours and so we decided to detour for some lunch as we couldn't check in to our Airbnb until late. 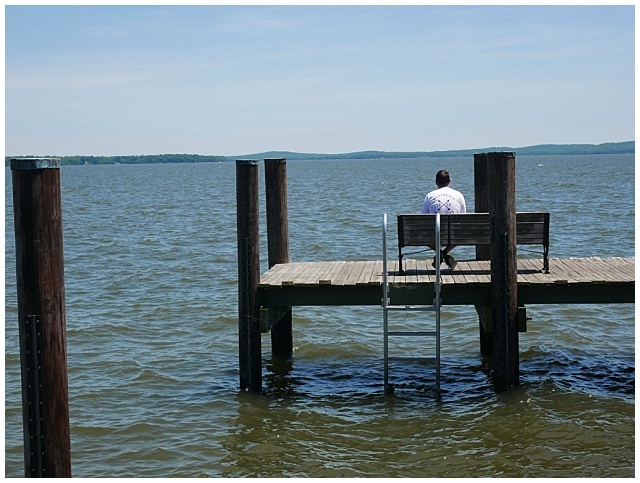 And this is how we found ourselves in Havre De Grace after following a sign for a historic lighthouse. 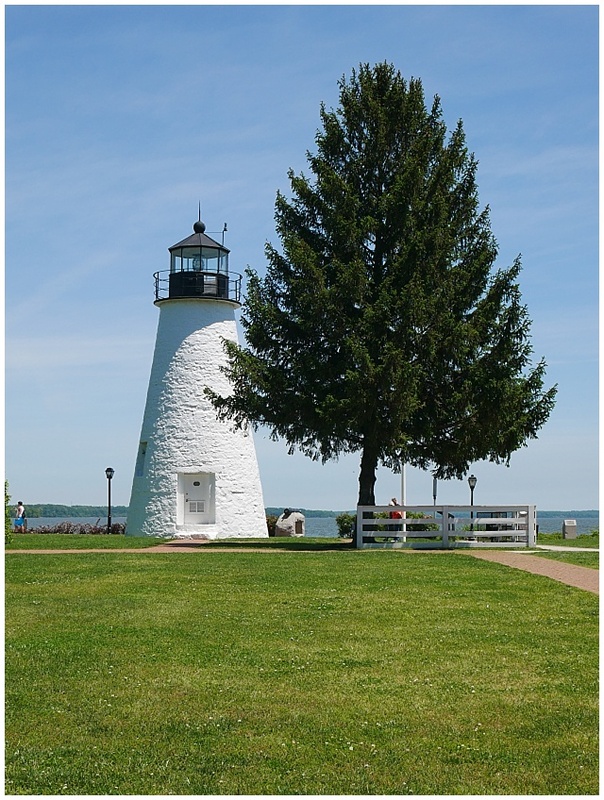 Havre De Grace turned out to be little town that prided itself on the fact it had fought to keep out the British in 1813 and has a lighthouse dwarfed by a tree. Now I love a good lighthouse, hell, I even made Jim do a tour of them last year, but this wasn't quite what we expected from something called out on a motorway sign. But we did have a lovely wander round Havre De Grace's waterfront, we saw the Chesapeake bay, we learnt about the plundering Brits who ransacked the town and we drank some spectacular homemade lemonade! Now Back to Philly. 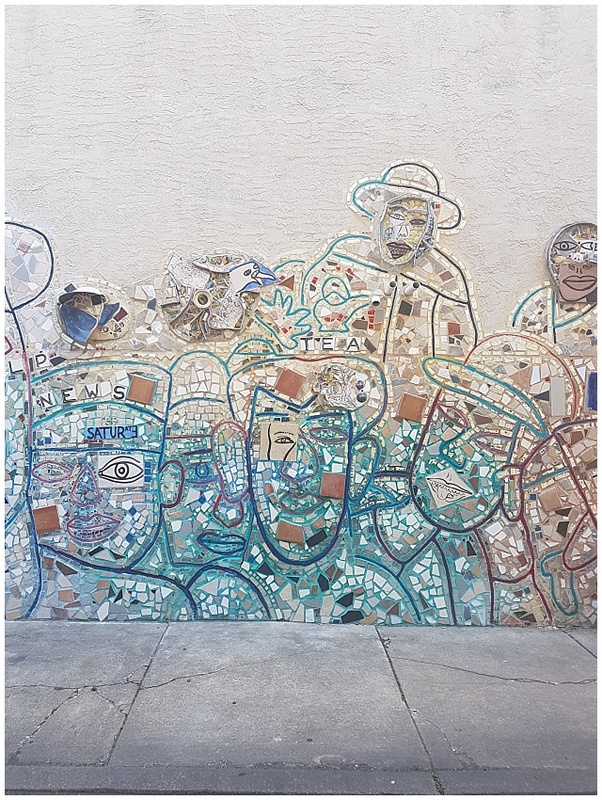 As I said we found ourselves in a fab neighbourhood full of stuff to do, but it was also walking distance to the centre of Philly and everything we wanted to see there. Our first night, because I was pretty much a light weight on the going out all holiday was pretty casual. We popped for some delicious mexican food and a few local beers and a little wander round the neighbourhood. And some binge watching of Always Sunny. When in Philly and all that! We happened to arrived at the start of a heatwave that would see mid 30 degree temperatures for our few days there, and turned out our Airbnb didn't have any aircon and the bed was a loft bed, which, combined with the post chemo hot flushes, meant I was having a barrel of laughs trying to sleep. It also meant I was over heating at almost every turn. I might have used this as an excuse to eat ice cream. I don't regret anything. 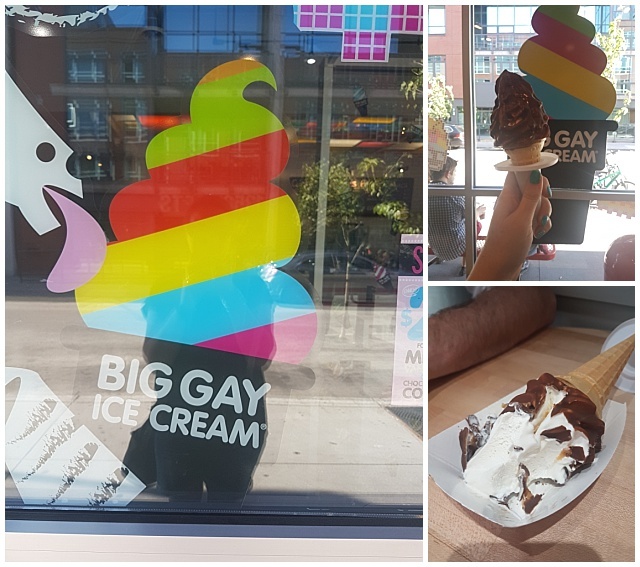 Just check out the ice cream shop we found literally 2 mins from our apartment! 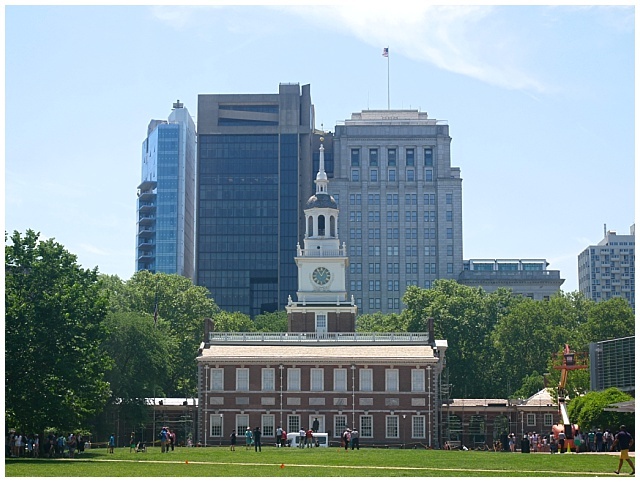 Our first full day in Philadelphia was all about sight seeing. And walking. I don't think I've ever done as much walking as I did in Philly. Thank god for trainers! I've probably not attacked Jim with suncream like I did either (I took to spraying him with it randomly as he walked!) Or complained. I think I reach peak complaining this week too! We left our apartment late morning (after having to buy a whole new cereal choice - Lucky Charms, obvz - as the Whole Foods one we initally picked up tasted like cardboard!) and headed to find us some attractions. And some aircon. Thank god for air conditioned shops! 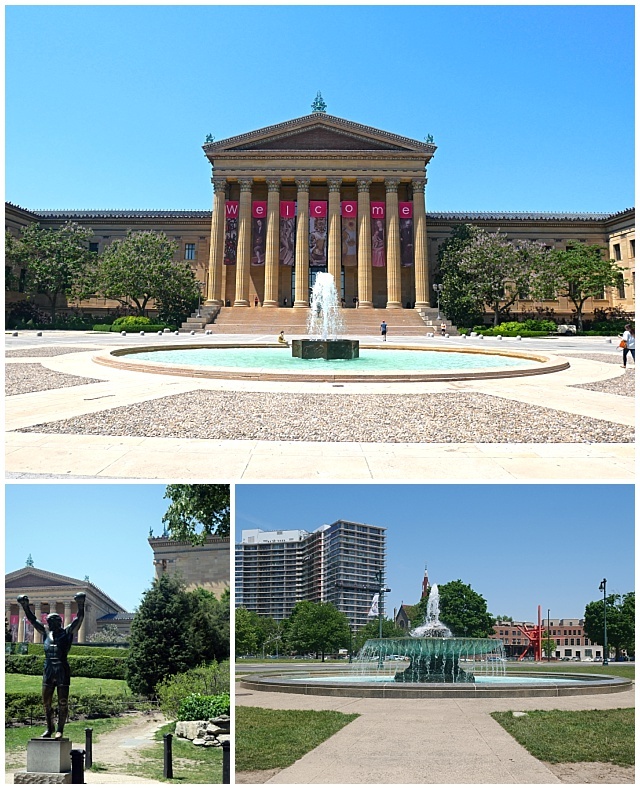 Our second full day in Philly saw more heat, more walking, more sightseeing and a visit to the amazing Magic Garden. Oh, and I hit up Bath and Body Works - importantly. I was going to post the photos from the Magic Garden here but there are too many to include in this already photo heavy post so I shared them in a post of their own last week. Here's just one of the mosaic walls that we stumbled across down an alleyway. After lunch of a shared grilled cheese sandwich and pretty awesome salad in a cute little cafe and an utter failed attempt at some shopping, we wandered back through the rows of beautiful old houses, and past the dog park, obvz, to our Airbnb for a rest before we headed back out for a night drinking beer in the suburbs. 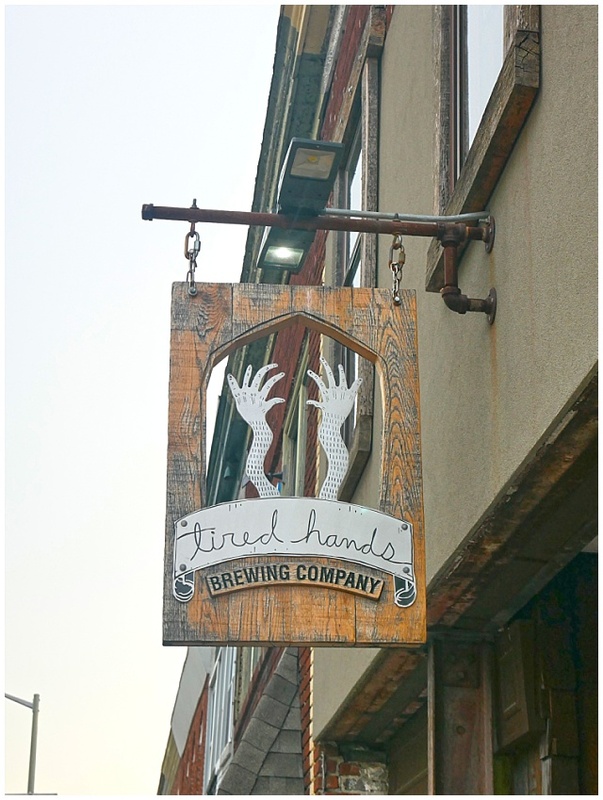 I'm going to do a whole post about our Beer Tourism on this trip because there were some fun breweries and beers sampled but we caught the train out of Philly to Ardmore and Tired Hands Brewery. We messed up a bit and went on a Thursday not realising that beer can buying day was a Wednesday - but none the less we still managed to enjoy our trip. 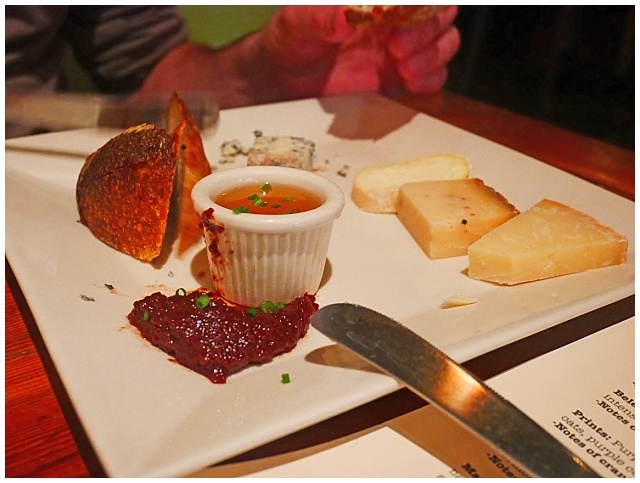 Plus we got a pretty epic cheese plate - the honey dip was amazing! 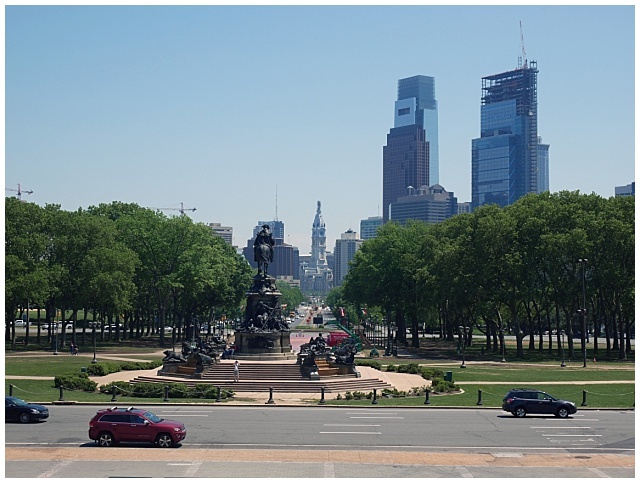 So, there was our 3 days in Philadelphia. 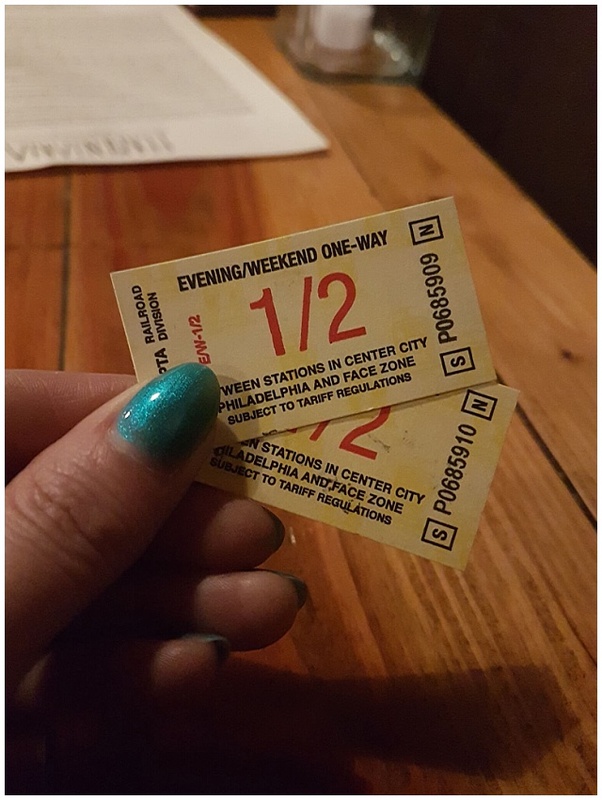 Once again, like always, 3 days wasn't enough to discover the city, and I am sure there would be so much more we could have done, but we had a great time! Accommodation - We stayed in this Airbnb. I wouldn't recommend as it was a bit basic and the neighbours were super noisy, but the neighbourhood is fab and it's easy to walk into the city centre or the old town. Plus there are lots of bars and restaurants near by. There is a metro station really close by, but we didn't use it. Getting there - We drove in and found some free street parking about a 5minute walk away, but there didn't seem to be much on street parking. Getting about - We walked A LOT. Everywhere in the city centre seemed accessible by foot so we didn't bother with public transport, apart from getting the train to Ardmore for beer!